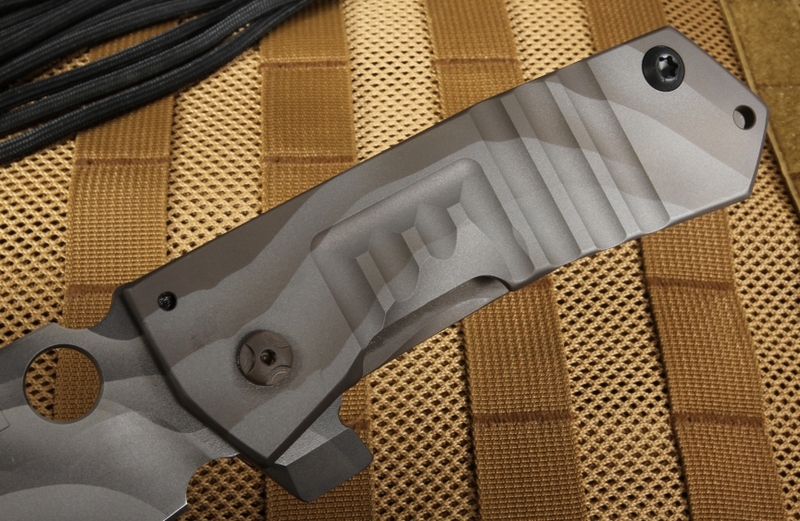 Razor sharp stainless S-30V blade with a KG Mil-Spec 2404 F 3D camo finish. Blade is marked with the Crusader Forge Logo. Cut out in the blade for easy right or left hand opening as well as a flipper that serves as an index finger guard in the open position. 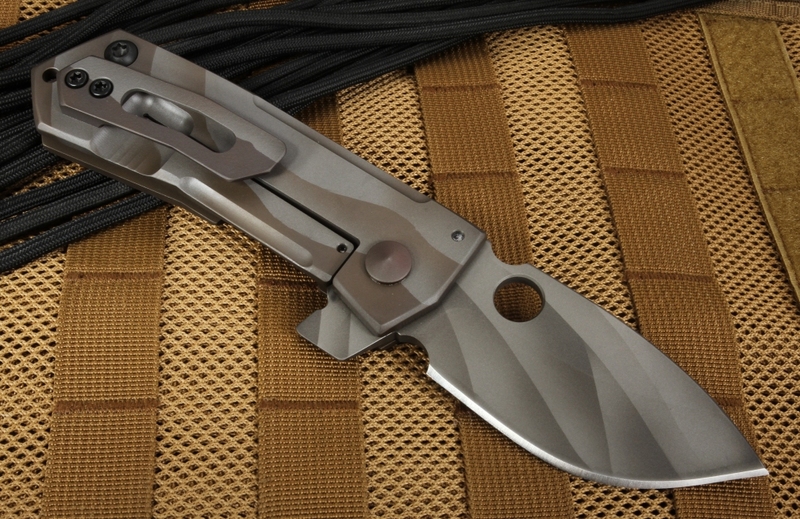 This American-made knife is built like a tank. 5mm blade thickness. Solid frame lock build. Matching 3D pattern camo on the blade and handle. Thumb groove on the blade spine for a secure grip. 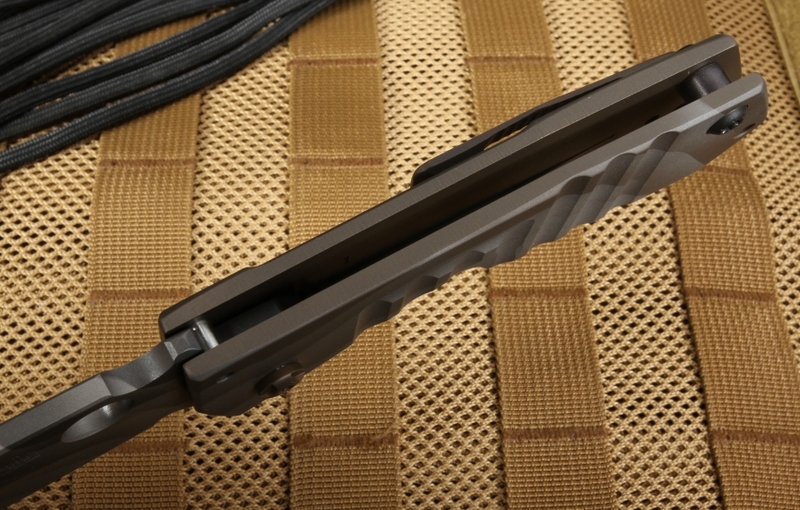 Titanium handle frame has 4mm thick handle slabs. 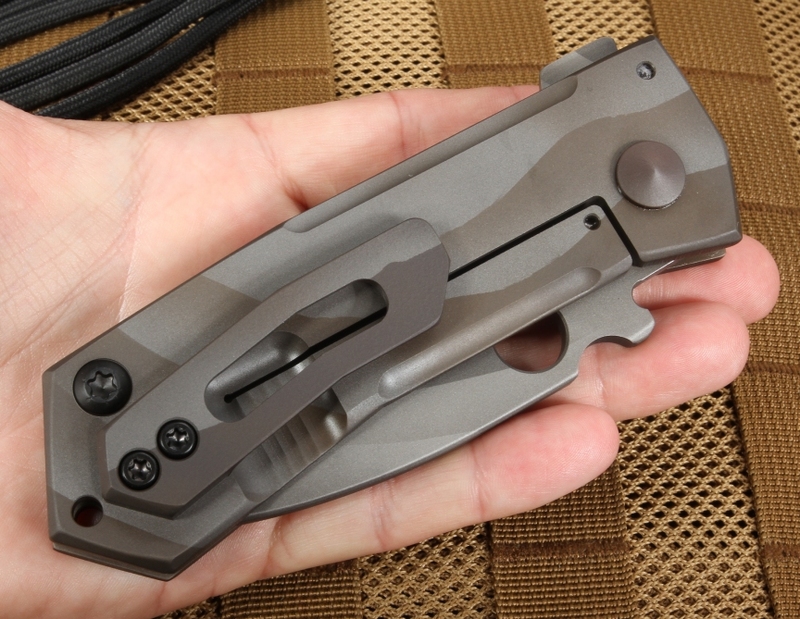 Titanium pocket clip is mounted for blade tip up carry. Stainless steel pins and pivot. Lanyard hole in the handle. Serious knife for serious situations. Each Crusader Forge comes with a Certificate of Authenticity signed by Maciej Szczerbiak. This knife was purchased to be in a small display collection of well-built knives. Instead it has become my new every day carry blade. 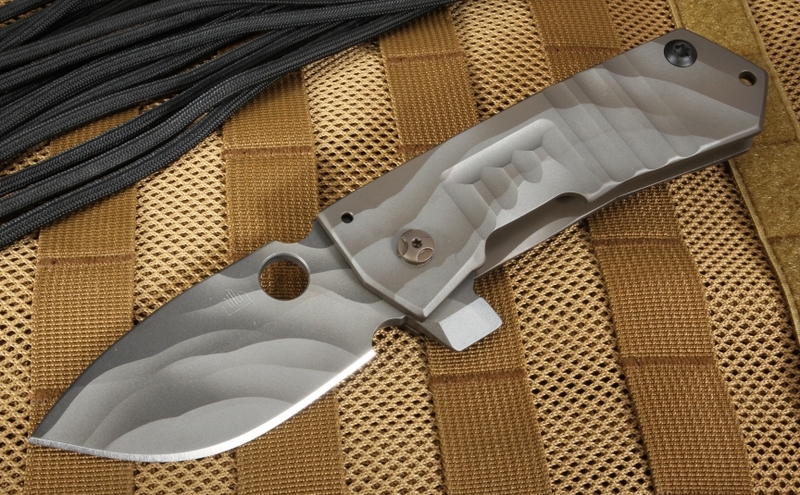 "Built like a tank" is used a lot, but this knife really is. It even smells the part...like a well-oiled precision machine. Now that this has become my EDC blade I need to get another Crusader Forge knife for the actual collection. Thank you Knifeart for making this purchase so easy and friendly.